Adventure Cycle Philippines, Inc., the exclusive distributor of KTM motorcycles in the Philippines, now makes it possible for you to own your very first KTML the 200 Duke, through the Duke ‘em @147K offer. 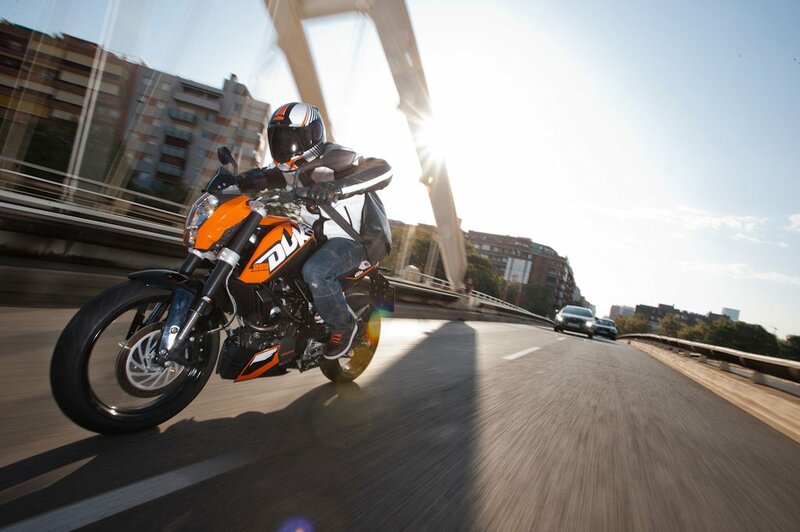 Built on the core values of purity, performance, adventure, and extreme, the KTM 200 Duke is the ultimate road bike. With a strong racing DNA, it can now be yours for just P 147,000. A true standout with its powerful appearance and aggressive stance, the KTM 200 Duke is powered by an ultra-compact, water-cooled, four-stroke engine developing 26 horsepower. This proves maximum riding fun and control, a powerful drive, and low fuel consumption. Complimenting this is ultra-light trellis frame and elegant swing arm that allows for dynamic cornering. The affordable pricing of the 200 Duke is thanks to it being manufactured locally. It is manufactured by KTM Asia Motorcycle Manufacturing, Inc. (KAMMI), a joint-venture partnership between Adventure Cycle Philippines and KTM AG of Austria. The KTM 200 Duke is the perfect entry point to KTM and its legendary, race-proven motorcycles that traces its roots to Mattighofen Austria in 1953. Take a closer look at the KTM 200 Duke today by visiting the existing and expanding KTM dealerships nationwide.